Crayola crayons are wax drawing implements predominantly used by young children. They can also be used to create fine art pieces. There are a variety of techniques that these crayons can be used for that can produce elegant, professional results. 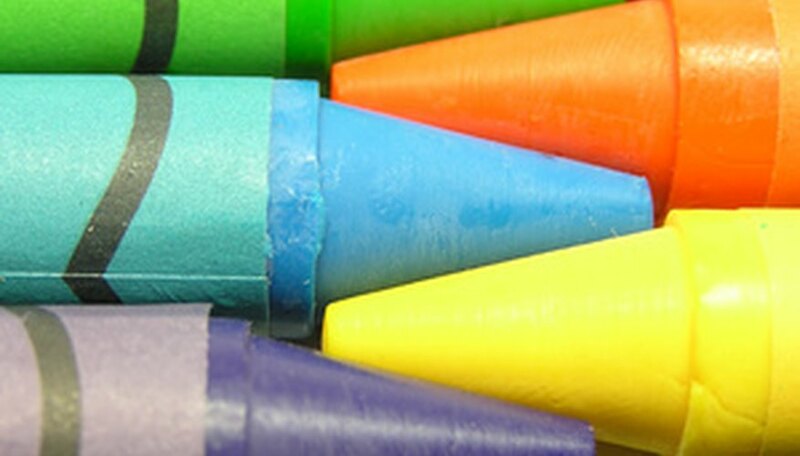 Wax crayons can also be combined with paint, charcoal and pencil for different effects in drawing. Other media can add depth, detail or dimension to Crayola crayon drawings. However, the crayons themselves will produce interesting effects on their own. Remove the labels from the crayons you wish to melt. Mix colors or choose only one to begin with. Place the crayons in a muffin tin without a liner and place it on a warming tray. Heat them on low heat. Dip a palette knife into the melted crayon mixture. It will be a very thick paste. Apply the wax to the illustration board. Apply it in layers over the board. Mix colors together, keep others separate. Do not focus on a particular image unless this is desired. Scrape and sculpt the wax with the palette knife. Mold the wax carefully by twisting your wrist to create the effect of the wax leaping off the page into three dimensions. This method of creating encaustic wax produces relief sculptures and art that comes right out off the board. Shave a few crayons in the colors you desire to use with the craft knife by gently sliding the knife down the wax with light pressure so flakes begin to peel off. Create a small pile of shavings in one or multiple colors. Scatter the shavings over a piece of wax paper. Place another piece of wax paper on top of the scattered shavings. Place a piece of newspaper on top of the second piece of wax paper. Turn the iron onto the lowest setting and iron gently over the top of the art piece. The crayon shavings will melt and produce a multifaceted effect that will have dimension and depth. This method is especially useful for landscapes and modern art pieces. Draw an image on a piece of watercolor paper with heavy pressure. The rough texture of the watercolor paper will pick up the wax easily and hold it in all the crevices. Use thick, hard strokes to create the strongest lines. Paint the watercolor on top of the crayons. The watercolor will provide a soft sheen of color wash over top of the crayon. The heavy lines will show through the light paint and an ethereal effect will be produced. Layer on the paint with different amounts of water diluted within. Wipe away any excess water or paint. Experiment with different colors and amounts of water for different effects. Try different strengths of stroke for different effects. Attempt sketching with the crayons for different images and experimentation in techniques. If creating these pieces with your children, utilize extreme caution in the melting process and art creation. Wax once heated can produce irritating fumes; therefore, proper ventilation must be adhered to. What Supplies Do You Need to Make Spray Paint Art?